SAND removed from the Daintree River Ferry channel will be spread across Newell Beach over the next few days to replenish the coast and help fight erosion. 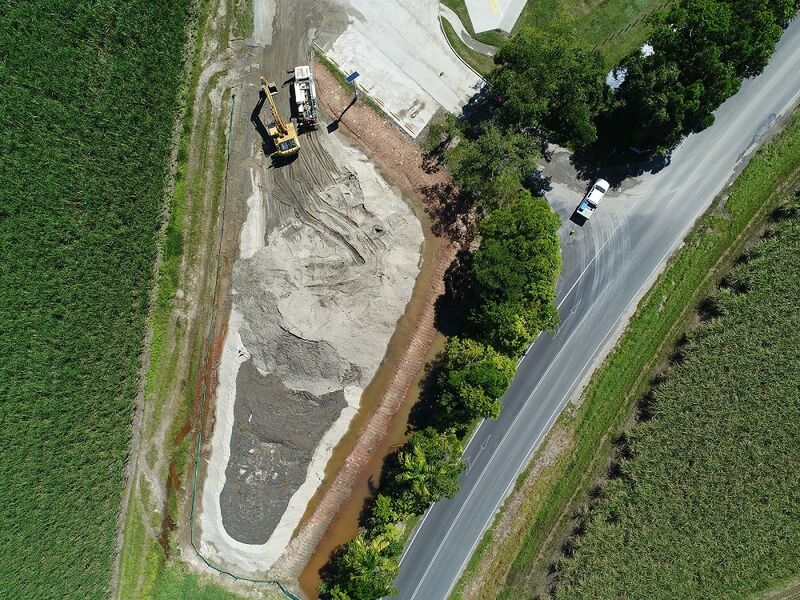 Douglas Shire Council yesterday sent the first trucks to move sand from the ferry site, where almost 9000 cubic metres of sediment is piled up, to nourish areas of the beach that have been lost during storms in the past three years. The works come as the draft Resilient Coast Strategic Plan, which is open for public comment until April 21 this year, details how a strong buffer of sand dunes and foreshore vegetation is protecting many coastal communities in Douglas Shire. Douglas Shire Council Mayor Julia Leu said the draft plan highlights the importance of maintaining healthy foreshore vegetation across the region. “The strategic plan’s recommendations reiterate the need to protect our foreshore vegetation from threats such as illegal tree clearing,” she said. “Douglas Shire is in a fairly strong position when it comes to coastal hazard resilience and this is due to our efforts to protect our foreshores. The Newell Beach replenishment project is expected to continue for the next week. Whilst the sand may initially be discoloured, natural processes such as sun and wave action will clean it up relatively quickly. The ferry channel is usually dredged once a year, however has already been dredged twice due to recent flooding in the Daintree River. It has been three years since Council placed 35 geotextile bags filled with sand on Newell Beach and put around 7,000 tonnes of material between the groynes. Council’s Sustainability Officer Nicola Learmond said minimising dune disturbance and maintaining vegetation, along with putting additional sand on beaches in select locations, were key actions listed in the plan. “However, a well-vegetated dune system is still the best form of protection from coastal hazards to the residential zones,” she said. Douglas Shire Council used the highest level of technical analysis and feedback from locals to develop a draft Resilient Coast Strategic Plan, which is the first of its kind in Queensland. “I encourage all residents, especially those living in our coastal communities, to read the draft strategic plan and give your feedback to the Resilient Coast project team,” Mayor Leu said. We’re seeking your feedback on this document to help us refine and finalise the Resilient Coast Strategic Plan. Please let us know your thoughts and have your say by 21 April 2019. An overview of landscape features, values, history, and important elements of a Resilient Coast for Douglas Shire. An overview of coastal hazards, including erosion and storm tide inundation, areas that may be exposed to coastal hazards, and the implications of exposure including potential economic costs. Douglas Shire’s approach to adaptation, including a framework for shared responsibilities, adaptation responses and options. Priority adaptation actions across the Shire. Locality summaries with tailored adaptation actions for different communities. The approach to implementation, including adaptative management and change management planning.